Late Night Legend, ART BELL, Dies 4/13/18 - Wisdom is the retention of innocence through adversity. On Friday the 13th, at his home in the Kingdom of Nye, late night radio host, Art Bell, died at the age of 72. Cause of death remains unknown. In the small of the night, when the mind is open and the defenses are eased, mysteries blossom and conspiracies run wild. In the darkest of hours, Art Bell was a light left on for the lonely, the insomniacs, the Americans searching for answers in a society they believed was spinning out of control. For more than two decades, Mr. Bell, who was 72 when he died April 13 at his home in Pahrump, Nev., stayed up all night talking to those people on the radio, patiently encouraging them to tell their stories about alien abductions, crop circles, anthrax scares and, as he put it, all things “seen at the edge of vision.” The Nye County, Nev., sheriff’s office said an autopsy will be conducted to determine the cause of death. At Mr. Bell’s peak in the 1990s, his show, “Coast to Coast AM,” was on more than 400 radio stations. He took calls all night long, alone in the studio he built on his isolated homestead in Pahrump, in the Nevada desert. 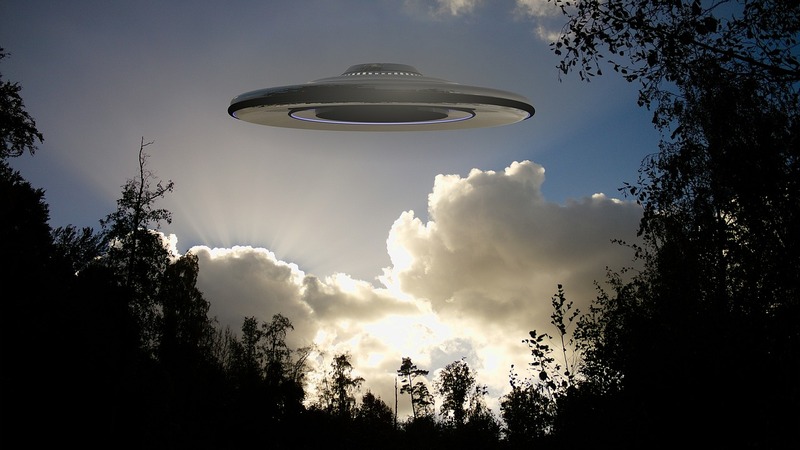 He punched up the callers himself, unscreened, keeping one line just for those who wanted to talk about what really happened at Area 51, the U.S. government reserve that for decades has been a locus of UFO sightings and purported encounters with alien beings. Long before fake news became a political topic, Mr. Bell made a good living encouraging Americans to accept the most fantastic and unlikely tales, to believe that we are not alone, to accept that in a world where the pace of life seemed to quicken with every passing year, there were forces from beyond that were trying to tell us something. Art Bell was a guy who just loved radio. All his life, he was a shortwave and AM DXer and a Ham radio operator. Even at the hight of his fame on AM radio, he was just another Ham call letter out there signalling and talking lonely in the night. And he had the mind of an electrical inventor, like Edison or Alexander Graham Bell. Similarly, he took paranormal concepts and turned them around in his mind in a scientific, exploratory way. I have that same attitude. It comes from years of night-after-night listening for the faintest voice in relentless waves of radio static. Signal versus noise. And believe me, you learn how to tell the difference. Since he covered topics not covered in normative media - or church - or textbooks, a lot of people thought of Art Bell as being really "out-there" - wearing a tinfoil hat - throwing a kite-string into the sky as if it were a fishing line to catch UFOs. In fact, he was very skeptical, and analytical - as well as being open-minded and exploratory like a kid. He had opinions and trends, but, in general, all questions remained open - or they changed over the course of the exploration. In this, he was not only being true to nature, but he was enticing his audience to think and to wonder for themselves. Art Bell was a great friend to my loneliness, which had stepped aside to let imagination command my true being. There is no overestimating the influence he had on the changing of the times, progressive or independent. Free, skeptical, considerate, he was also a big influence on the libertarian movement in this country, mainly for the better. His views were both left and right, and he voted for Obama. But his show, Coast-to-Coast AM, would subsequently become more conservative after he handed over the reigns to George Noory. The show changed a lot after that, and listenership dropped down to 25% of what it once was in the glory days of Art Bell. Bell had some health issues. He had family issues. He had a serious amount of trouble from Christian right-wingers and others, such that he was forced to retire several times, often in fear for the safety of his family. But, like his ground-breaking thoughts and shows, he kept bumping along, left and right. I would recommend going and reading his wiki page to learn a little about the drama that was so often foist upon him. It was so bizarre and serious, one cannot look at his recent death and NOT maintain a hypothesis that something nefarious might have been at play. That's just the way his life went, expiring on Friday the 13th. Why all this drama? Because he knew he was no Einstein, yet could have been. Because he was a virtual wizard over the radio and into your bedroom. But what he really was was just a boy who never grew up, trapped forever in a lonely room full of broadcasting equipment, for the rest of his life, with nothing but all of America answering back to him, lovingly, thankfully, but like ghosts. The aliens of lost love. He's that sort of those foolish souls that comes and goes and makes you finally stop and mull, "This world was never meant for someone as beautiful as you..." Goodnight, take flight, and thanks for all the fish.